Hello, and welcome to the course guide for AH 172 - History of Photography! You can use this guide to begin gathering information for your abstract and bibliography, and subsequently, your research paper. If you are just beginning your research, please refer to Step 1: Formulating and Clarifying Your Research Topic below. This will help you figure out keywords that you can use in your research. For immediate assistance, please Ask a Librarian. 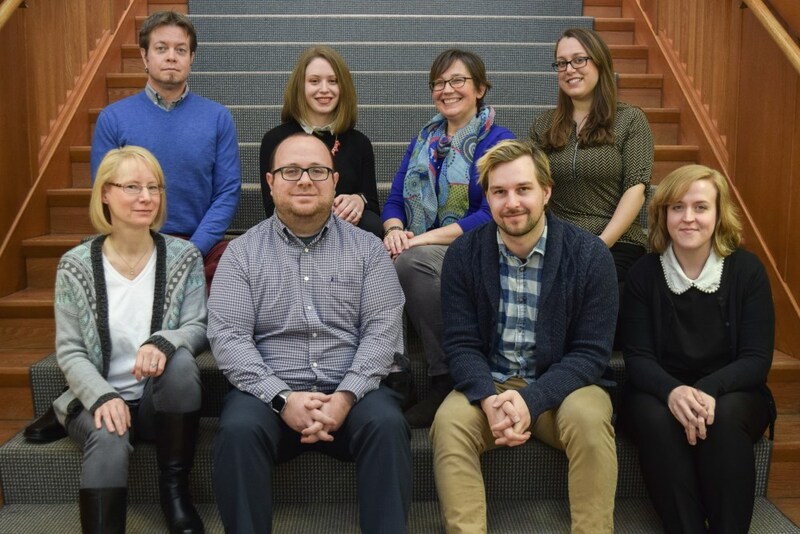 If you wish to schedule a personal research appointment with the next available librarian, you can do so using this link, or if you wish to meet with me, you can email me with your availability at bduffy3@fairfield.edu. "What photograph, photographer, movement, or idea has struck you as interesting during our course? Use this research paper to pursue your passions. Attend the Metropolitan Museum of Art and visit the Photography Exhibition before October 29th to choose a photograph that asks a question, begs an answer, or inspires you to learn more. Develop a thesis around your interest in this photograph." subject of the photograph: What is the photographer depicting in this image? What questions do you have about the subject, the style, the composition, the framing of the image, etc.? What choices did the photographer make in his or her depiction of the subject? style: How does this photographer conform to and / or differ from other photographers in this era? What have you learned in class that has sparked your interest - why did it spark your interest? Generate some questions that you can try to answer through your research. In groups, please generate some potential research questions or topics about this photograph by Lewis Hine. What do you already know about the photographer, the time period, the subject, and what can you learn by looking at it? 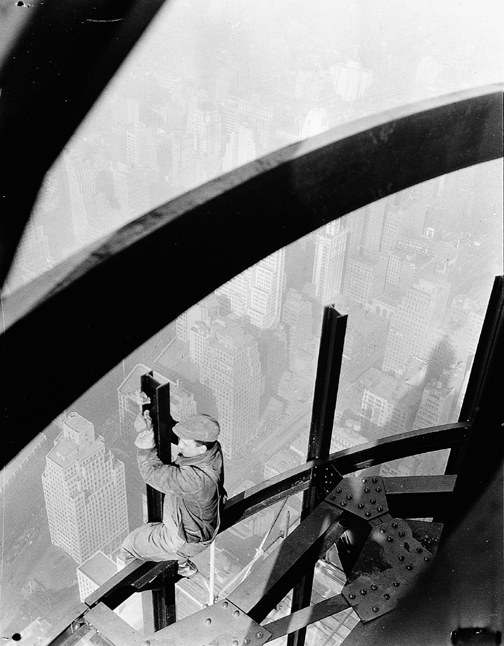 Lewis Hine, Man on girders, mooring mast, Empire State building, ca. 1931. From the George Eastman House Still Photograph Archive, http://www.geh.org/fm/lwhprints/htmlsrc2/m197701610038_ful.html.